If you love the bass you have, the Roland GK-KIT-BG3 Divided Bass Pickup Kit is the cleanest way to enter the world of new sounds that the Roland GR-55 has to offer. 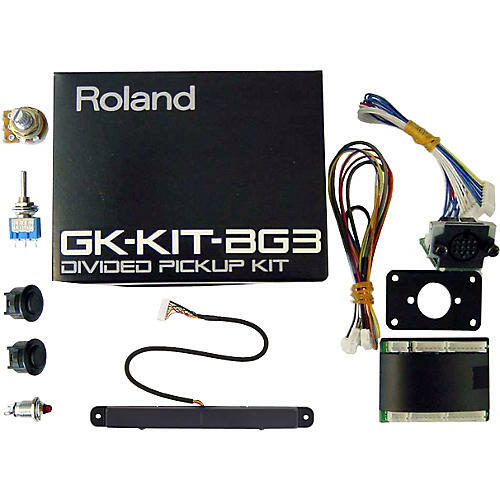 This kit includes all parts for permanent installation of a GK-3B Divided Pickup into a bass guitar: a GK-3B Divided Pickup, circuit board, switches, power indicator LED, 13-pin connector, wiring and hardware. Supports up to six-string basses. Professional installation is required. GR-55 not included, but seriously recommended.